There’s a reason cast-iron skillets are the improvised weapon of choice for cartoon characters everywhere: they weigh about as much as a collapsed star. But intrepid chefs continue to wield them nonetheless, citing superior heat control, non-stickiness and (presumably) better forearms. 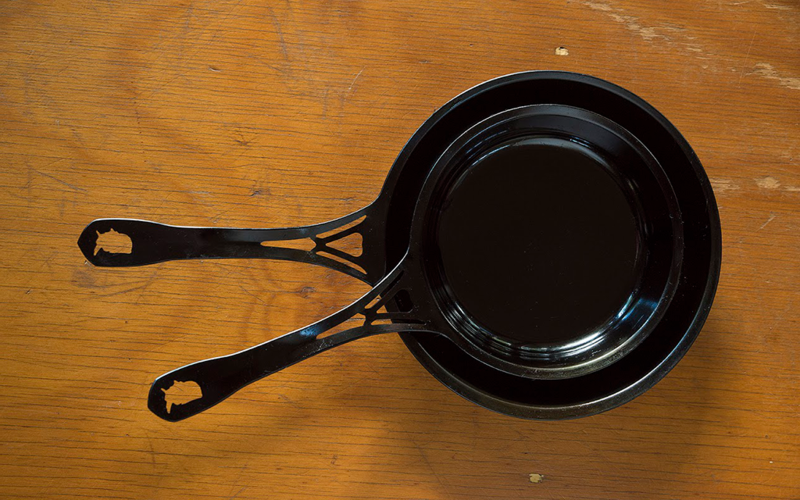 Lightening the load: Solidteknics’ new wrought-iron skillet, made from a single piece of USA iron right here in Chicago. 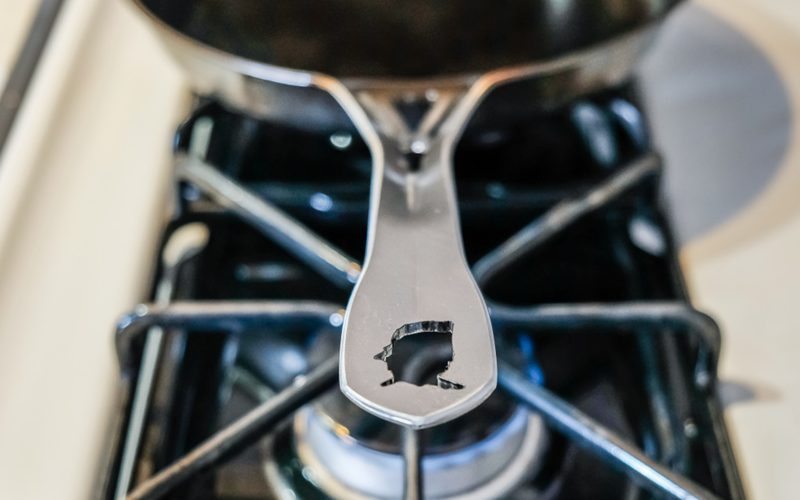 These pans are the brainchildren of Aussie cookware engineer Mark Henry, who devised a patented design to solve an age-old cheffing problem: Is there a way to combine the material properties of cast iron with the more functional weight of stainless steel? “I knew there were hand-forged [rather than cast] one-piece iron pans,” said Henry in a press release. “The Roman soldiers had them two thousand years ago.” So he patented a three-step process that achieves exactly that, eliminating all rivets and screws (which can rust, accumulate gunk or fall off) while cutting the weight of cast iron by nearly half. Those patents would lead to a whopping 12 successful cookware crowdfunding campaigns in Australia. Even at the reduced weight, though, shipping iron pans overseas proved prohibitively expensive. So Henry took his show on the road, seeking out a manufacturing partner in Chicago to help him conquer the American market. Last year, they debuted nöni, a one-piece steel saucepan. And now they’ve finally rolled out the US-ION skillet, which has met its Kickstarter goal almost eight times over with 12 days to go. That means you can still opt in at a heavily discounted preorder price: it’s $49 for a 7.5” pan, $69 for a 10” or $119 for the both of ‘em. Oh yeah, and one more benefit of wrought iron? It will never crack, like cast iron has been known to do. See Solidteknics’ signature “multi-century” warranty for proof. So pass it down to your kid someday. Even if he’s got butterfingers, it’ll be a safe handoff.